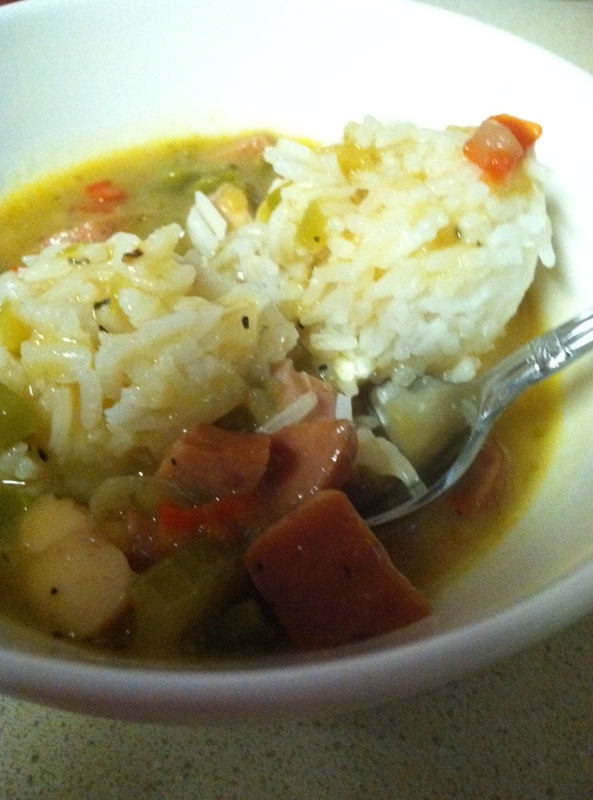 Great Golly Gumbo! – Butter, Baking, and Bacon! Gumbo is the quintessential dish for making great ingredients stretch! Here’s one I made today! This is going to sound weird, but this is how I make my gumbo! Heat butter in stockpot, add chopped trinity (celery, onions, bell pepper). Saute until soft. Add one pound of smoked andouille sausage, chopped. Cook for 3 minutes. Add a tablespoon of butter and then flour to make a roux. Cover with 3-4 quarts of chicken stock, simmering until it thickens a bit. Season to taste with salt, pepper, garlic,paprika, cayenne pepper, and file powder. You can add cut up okra if you wish. Cook for 20 minutes on low heat. Serve with rice! Next Post Try The Turnover Truck! !